Two University of Oregon researchers see electronic reading tablets such as the iPad, Tablet PC and Kindle as potential game changers to help people overcome a variety of barriers to effective reading and comprehension. With the help of a five-year, $2.7 million grant from the National Science Foundation, Stephen Fickas, professor of computer science, and McKay Sohlberg, professor of communication disorders and sciences, have launched the CampusReader project. The CampusReader software, which will be developed in stages over five years, will target a wide range of current college students, including veterans who have suffered mild brain injuries, and adults struggling with developmental barriers such as attention deficit disorders and learning disabilities, Fickas said. 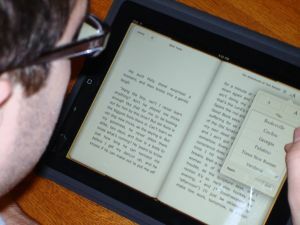 In collaboration with two Department of Defense facilities, and an urban university’s student disability services program, the UO researchers will develop an evidence-based assessment and strategy process that matches both reading profiles and impairments to reading strategies that can be delivered on electronic reading tablets. The project will build on software models already developed in previous projects led by Fickas and Solhberg. The end result, they say, will be an educational package that uses open source software and hardware to deliver a demonstration tool that could be used by companies designing commercialized reading tablets. 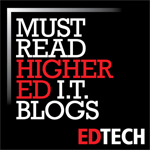 Fickas notes that the growing popularity of the iPad and other emerging computer-based reading platforms offer a means to deliver quality supports to improve reading comprehension and retention, especially for college students. To develop the necessary strategies, the researchers will conduct pilot studies, laboratory experiments and long-term evaluations. The CampusReader project will attempt to provide the science that is missing from the literature that links reading impairments with reading strategies, and develop a demonstration tool, built on what they learn, that supports an assessment process and a delivery mechanism. Efforts aimed at active-duty service members and veterans with mild brain trauma will be designed especially for those attempting to enroll in specialized training programs or to return to university or community campuses to resume their educational pursuits. A priority, Fickas said, is to have the CampusReader be recognized and accepted through the Computer/Electronic Accommodations Program (CAP). The National Defense Authorization Act of October 2000 granted CAP the authority to provide assistive technology, devices and services free of charge to partnering federal agencies that work with returning soldiers. One of the CampusReader project’s partners, Tripler Army Medical Center, will be a key player in reaching this goal.